Getting the wrong size of a dog door can be frustrating. All that effort and all that energy into buying something that your pet can’t even use! That is why you should always remember to measure your dog before purchasing a new doggie door. 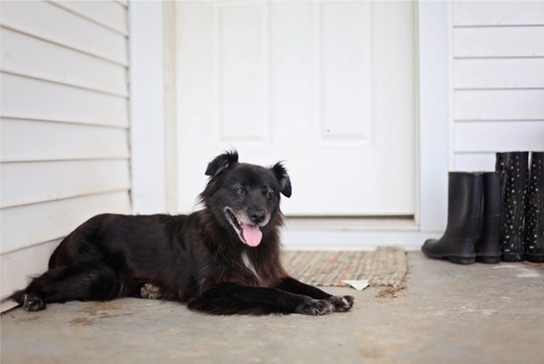 A dog door also commonly known as a door flap is an opening in a main door (or in a window or wall) to facilitate the movement of your doggie from inside to outside of your house or vice versa. Let’s take a look at how you can measure your doggy to determine an accurate size for a dog door. Open a door to a certain amount and call your pet to pass through that opening. If your doggy hesitates to go through that width, widen the opening and repeat the exercise. Even if your doggie is not reluctant but is uncomfortable while passing through that gap, you should make the opening wider. To determine the height, use a measuring tape or a ruler. Determine the height of your pet from the ground to the highest point of the back. Open a door and put a 6 inches block in the way. Let your doggie pass through that area. Ensure that the dog can easily step over that height. If necessary, you can reduce this height for smaller dogs. Normally a lower step over height is more comfortable for a dog than a higher one. The height of the top portion of the dog door can be determined by adding the step over height to the flap height. The top of the flap must be at least 1 inch above the top of your doggy’s back. It should be even higher if you have an active and fast dog. Using your dimensions cut a piece of cardboard of the same size. Call your pet and let it pass through that cardboard opening. If your doggie is okay and comfortable, then you have calculated the right dimensions. • If your pet is not eager to use a dog door, you can use a treat for motivation. You can also lure your dog out by throwing a ball through the door flap. • In case you have more than one doggy in your house, the height and width of the dog door should be calculated by using the dimensions of the bigger dog. The step over height must be determined for the smaller doggie. • A trained animal can help to teach an inexperienced dog. The “less knowledgeable” doggie would eagerly follow the other animal. • For convenience and safety, you can install an electronically operated dog door. Your dog also needs a special collar with a chip to get access to your house. Responses to "How to Measure Your Dog for a Dog Door"